How Zivame is dominating the online lingerie Industry with 300% YOY growth? Zivame, started in 2011 by Richa Kar is a leading online lingerie selling portal which covers more than 5 million followers and more than a million visitors. Richa after completing his engineering studied MBA to understand the retail market thoroughly. Working on an assignment to study a global lingerie brand, one thing that hit her mind and raised interest in lingerie industry was the fact that on an average 80% of the women wears wrong sized bras. The second thing that she thought was privacy of women in shopping lingerie and lack of size range in outlets. Why we chose Zivame as Startup of the Week? Zivame is India’s premier online lingerie store, featuring over 5000 lingerie styles. There is an increase from approximately two lakh products to more than 10 lakh from 2012 to 2016. Zivame started in 2011 with Rs 35 lakhs of personal savings and contributions from friends and family. Zivame has raised around $48 million in funding till now. Zivame sells around one bra per minute with approx.1200 orders a day. Zivame currently receives more than 60 percent of its traffic from mobile devices. com boasts more 600 lingerie styles to choose from. Zivame provides shipping of products to over 200 countries. Zivame expects to open 100 of brick and mortal kind of shops in top Indian cities. The brand is growing rapidly with around 10-15% MOM growth. Social media: Facebook fan following has reached more than 5 lakh. Richa was working on an assignment to study a global lingerie brand. That got her think of about lingerie as a category in India. She soon realized that the customers have very little experience in this category. Most of the times, the problem is with wrong size and presence of male sales person at the stores. She thought to ensure that every woman has access to quality inner-wear in an environment free from social discomfort. Thus she thought about starting a business in the lingerie sector and started Zivame in 2011. 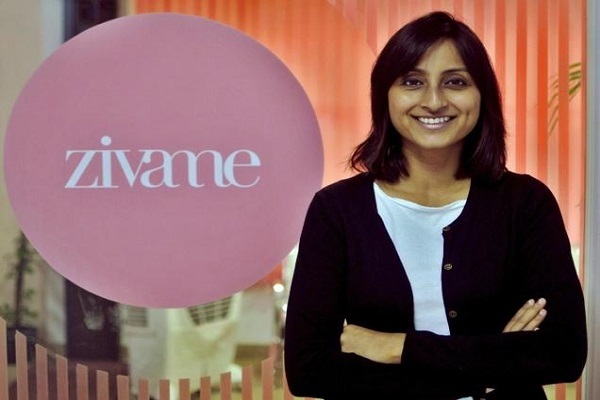 In the business for over 5 years now selling Lingerie to discerning Indian women, Zivame has converted over 10 lakh Indian lingerie buyers into online shoppers. The Bangalore based company has just raised more than $40 million to change the way women buy underwear online. Zivame currently receives more than 60 percent of its traffic from mobile devices. The online portal boasts more than 600 lingerie styles to choose from. The company has also expanded to selling swim suits, nightwear, shapewear, accessories and more. Right now, Zivame only operates online with no physical stores. But in the coming time the company is planning to open at least 100 brick and mortar kind of shops in top Indian cities. From having started from a one bedroom apartment as her office to a 200 + member team, Richa surely has come a long way with Zivame in a short span of 5 years. Funding has helped the company implement their private label strategy successfully. Today, Zivame has Pen.ny and Cou Cou as its private labels that contribute to around 60 percent of its total revenue. Nearly 25% women are buying online for the first time on Zivame. The company is looking to strengthen the shopping experience through tech based online purchasing. While the intimate wear market in India is growing at the rate of 15 percent year on year, Zivame has witnessed a 300 percent year-on-year growth in their revenues. In terms of revenues, the brand is planning to earn over Rs 400 crore in the next 2 years, and achieve a turnover of Rs. 1000 crore in the next 4 to 5 years. The company also plans to focus aggressively on their private labels and see Tier 2 cities as the next drivers of growth.